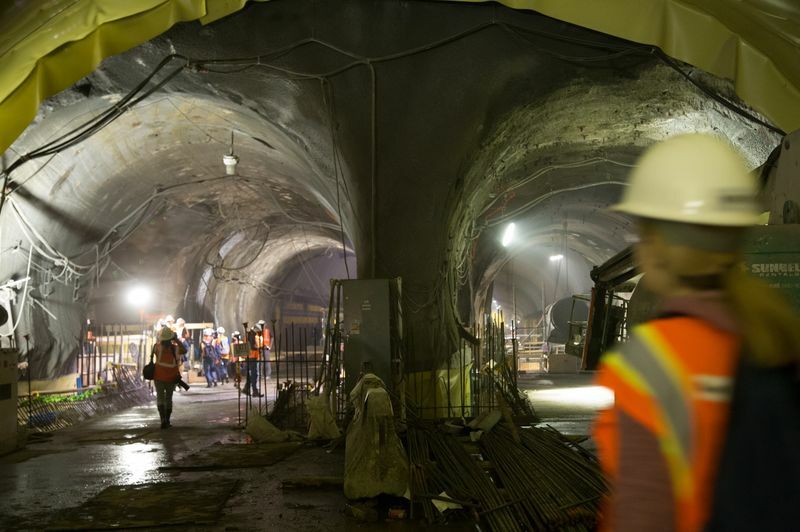 Some 140 feet under Grand Central Terminal lies a city all its own. There are port-a-potties, tables littered with dusty water bottles, and graffiti on wooden planks. The air smells like wet concrete, and it’s so humid it’s like you’re navigating a rain forest filled with rebar. The construction noise is maddening. 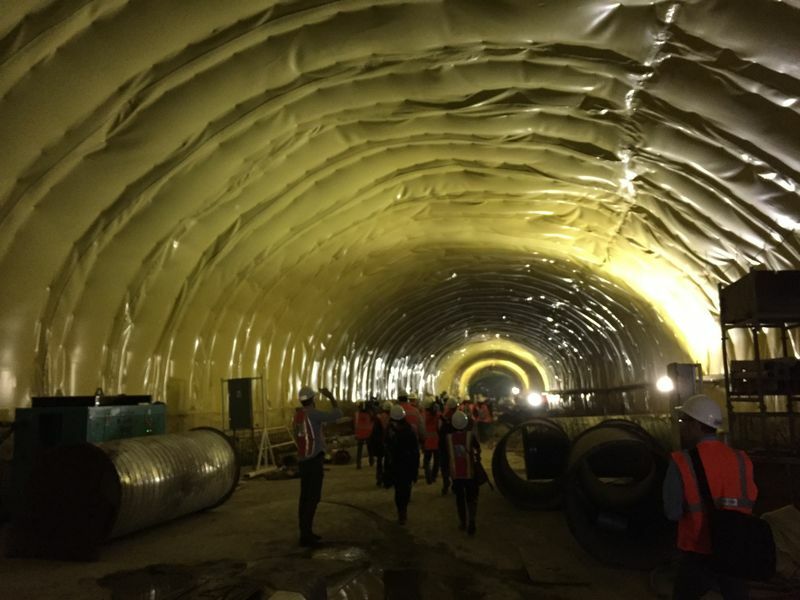 About 1,800 workers are spending their days here, deep inside the earth, and are now building a gigantic passenger concourse for the MTA’s East Side Access project. When complete, it will bring Long Island Rail Road trains to Grand Central for the first time. Commuters who work on the East Side will save up to 40 minutes a day, because they won’t have to backtrack from Penn Station anymore. And it will free up tracks at Penn for Metro-North Railroad riders to come to the West Side. Right now, the worksite is a gray monochome cavern dug out of bedrock. Piles of muck, or pulverized rock, are everywhere. But the MTA estimates that it w ill open by 2022, with — eight sleek white-tiled platforms here on multiple levels, served by 17 escalators. 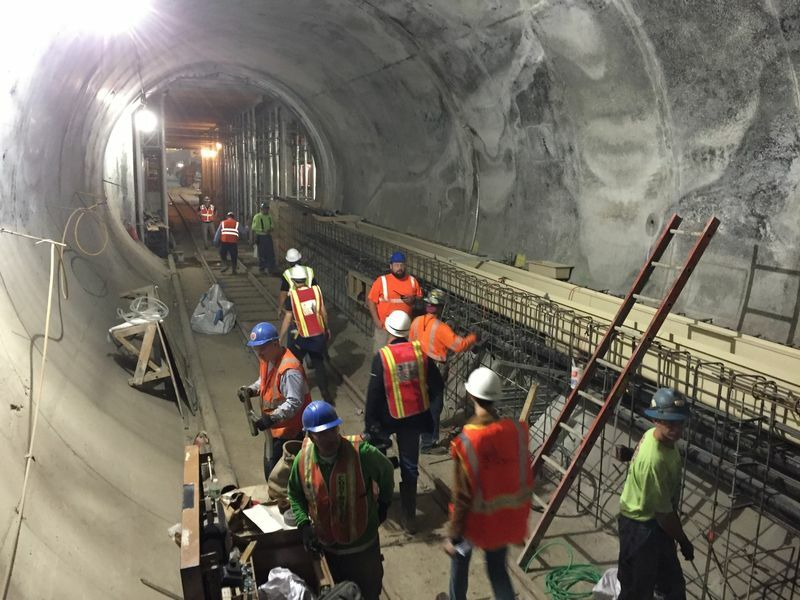 Crews have already finished the eight miles of tunnelling from Queens and under the East River. The $10.2 billion megaproject is years behind its initial projected opening date — not to mention billions over its original budget. But Dr. Michael Horodniceanu, the MTA’s head of Capital Construction, says it’s absolutely vital to the region.